Teachers may return to the picket lines. Karen Lewis, president of the Chicago teachers union, departs a news conference after her meeting with the union's House of Delegates Friday, Sept. 14, 2012, in Chicago. Lewis told the delegates that a "framework" was in place to end the teachers strike. Kids may not be going back to school on Monday after all. Reports of Union infighting could lead teachers back to the picket line instead of the classroom. At this hour there is concern from inside the Chicago Teachers Union that delegates will not approve the tentative agreement to end the week old strike, according to a source close to the union. A faction of the union sees it as a “back room deal” that does not have unified support, the source said. Adding to the frustrations is the timing of the meeting for delegates to approve the contract. The delegates will meet at 3 p.m. Sunday with only a few hours to look over the contract before Rosh Hashanah begins. The holiday, which begins at sundown, leaves many Jewish delegates pressured to vote over something they have not seen, according to the source. Delegates do have the option to ask for an additional 24 hours to approve the strike, which would put kids back into the classroom on Tuesday in stead of Monday. But reopening the classes is still contigent on whether delegates approve the contract. While CTU President Karen Lewis and her team are ready to present the details to the House of Delegates this afternoon, there is already a vocal faction promising to vote no, said the source. The source added that late into Saturday night, Lewis’ caucus shouted obscenities at her and the other leaders. “You sold out” and “Rahm’s getting everything they wanted, what the hell did we get?” The source quoted caucus members saying to her. At the heart of those who oppose this new deal, they feel the negotiating team did not fight for paraprofessionals and special education teachers and students, the source explained. 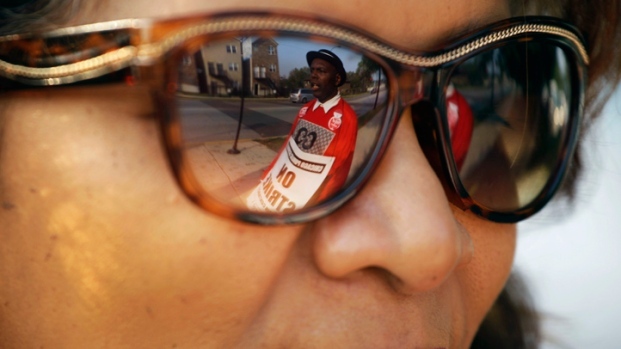 The week-long Chicago strike has attracted national attention, not only for the impact as a labor struggle, but the timing of the battle. It's happening less than two months before the national presidential election and involves a union that heavily supported the President back in 2008. The national union, the American Federation of Teachers has “leaned on the CTU” to settle the contract, according to another Chicago union source close to the negotiation process. The AFT is concerned “Chicago could backfire” and might negatively impact the Obama administration, the source said. AFT wants a deal wrapped up, according to mutilple local union sources.